By Tangerine Clarke | January 19, 2017 | See article here. These are the words of Colin Alwin Harris, a ferociously talented Guyanese-born artist, whose passion and hard work for entertaining audiences on the big screen, began with a big win at the Central Florida Film Festival, last year, when he received an accolade for his directorial début film “HAIMA,” that he also wrote, and produced. The film, about peace, love and good American values, said Harris, according to a clip, is also about a dark and gritty tale about a young woman who embarks on a journey, to discover the truth about her tragic childhood. While searching for answers about her mother’s murder, her life changes dramatically as she is beaten into an amnesic state. The young woman battles for survival at the hands of her attackers. The world premier of the 2016 film received rave reviews at the Central Florida Film Festival, cementing Harris’ determination and what he called his vivacious imagination and admiration for the cinematic arts and made in honor of all the classic action thrillers he watched passionately and religiously while growing up, and still watches today. He was excited to make a movie filled with all the elements he found most compelling in film, richly layered with storytelling, action and suspense. Harris, a young man, driven by his talent and inspired to showcase his brilliance, founded the Central Florida Institute of Technology, an educational institution that offers comprehensive and affordable certificate and degree programs in science and technology. His stunning accomplishment after arriving in the United States from Georgetown, Guyana, just 27 short years ago, is a testament to his will to succeed. 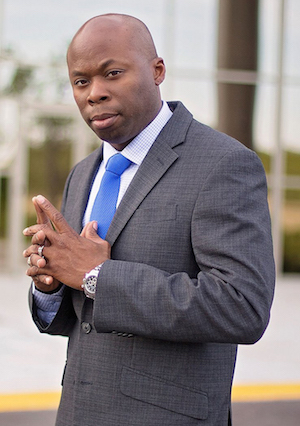 After serving six years in the Unites States Air Force as a ground radar systems specialists / electronics technician at Eglin Air Force Base in Florida, Harris graduated with a degree in electronics technology and business, and a Masters of Science degree in Management from Troy University, in addition to a MBA certificate in Leadership from Post University. On top of his impressive work ethic, Harris still gives of his time to the Federal Aviation Administration Civil Service, where he is a dedicated member. In addition, he started his own production company Global Impact Empire Entertainment (GIEE) in 2002 that uses his business and technical skills. GIEE specializes in video production and photography for commercial clients and weddings. Harris has also worked as a camera operator, photographer, editor, filmmaker, director, and the producer of a local magazine — Treasures of the Emerald Coast. Harris’ non-stop energy and talent are the reasons for the 2004 “Universal Martial Arts Hall of Fame Expo,” which he filmed and edited. He later directed and produced a 21-minute short film, titled “Flawed Proposal,” before assisting in the production of “Pui Chan: Kung Fu Pioneer,” in 2012. We did it Again! 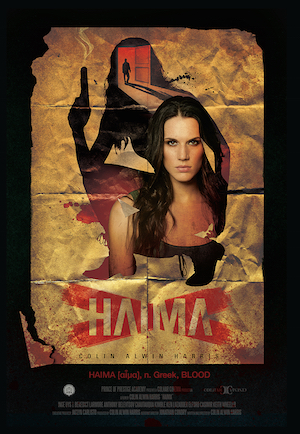 Haima – Feature Film was officially selected for the 2016 MAC Underground Film Festival in Manaus, Brazil and won the “Best Feature Film” Category. Congratulations to the Cast & Director, Colin Alwin Harris. We received this great news today. Haima was officially accepted into the Los Angeles Independent Film Festival Awards. Colin Harris’ first feature-length film is darker than many other filmmakers’ firsts. The movie, “Haima,” tells a story of a woman who, while searching for answers about her past, is brutally attacked by a man connected to an ex-lover. She must elude her attackers before they can finish her off. Harris, an Orlando resident, leads a busy life as a husband, filmmaker, full-time employee with the Federal Aviation Administration and instructor of cinematic studies at Central Florida Institute of Technology. SYNOPSIS: After an attack set up by a former lover, a woman awakens to find she has amnesia. We received this great news today. “We are pleased to announce that his film was selected for the main show MAC UNDERGROUND FILM FESTIVAL. What an amazing night! Outstanding film!! !